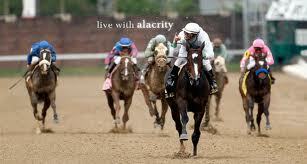 alacrity-(a-lack-ri-tee) noun-liveliness and eagerness. Brisk and cheerful readiness. My kids rarely attack their chores with alacrity. Origin: around 1510, from the Latin, alactitatem-"liveliness"... from alacer, "cheerful, brisk, lively". Also has roots in Goth-aljan "zeal", Old English-ellen, and Old High German-ellian. (the name Ellen must have its roots in a alacritous child.=)) Alacritous is showing alacrity, or eagerness. 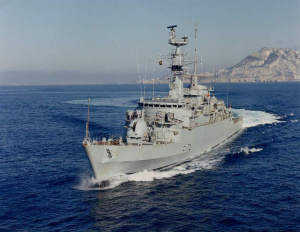 There was actually a British Type 21 Frigate named the HMS Alacrity. She was set to sea in 1982, and decommissioned in 1994. She is now owned by the Pakistanis. Just a bit of trivia.